Kuala Lumpur City Opera Chorus is proud to be a part of another Malaysian Philharmonic Orchestra concert. Inspired by Edgar Allan Poe’s poem of the same name, Rachmaninoff’s The Bells is one of the composer’s favourite compositions and his secular choral masterpiece. The four movements depict different stages of human life – carefree youth, happy adolescence and love, maturity and epilogue. Stanislav Kochanovsky and a cast of leading Russian singers also perform highlights from Eugene Onegin, a lyric opera by Tchaikovsky inspired by Pushkin’s novel, in which a selfish hero lives to regret his rejection of a young woman’s love. An opera based on the Grimm Brothers' fairy-tale with music composed by nineteenth century composer Engelbert Humperdinck in 1892 in Frankfurt with a libretto written by his sister, Adelheid Wette. 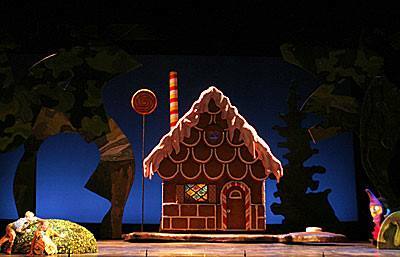 Hansel and Gretel was first conducted in Weimar by Richard Strauss in 1893. The infamous story of two siblings send to search for strawberries by their Mother as a punishment for breaking a milk jar finds themselves lost in the forest. Are they going to make it out of the forest? Find out about how their adventure unfolds in this production by KLCO, sung in English with Chinese supertitles. Note: More information about the production will be announced at a later date. Please stay tune or follow us on our social media channels. One of the most popular opera of all time, Puccini's story of love and heartbreak. Cio-Cio-San, a young Japanese girl who falls in love with an American Naval officer, Pinkerton leading to dire consequences. An opera in two acts, by Giacomo Puccini, words by L. Illica and G. Giacosa after the story of John Luther Long and the drama of David Belasco . Sung in Italian with English and Chinese supertitles. For regular night show, free pre-performance talk half an hour before the show. * No discount for family fun day.